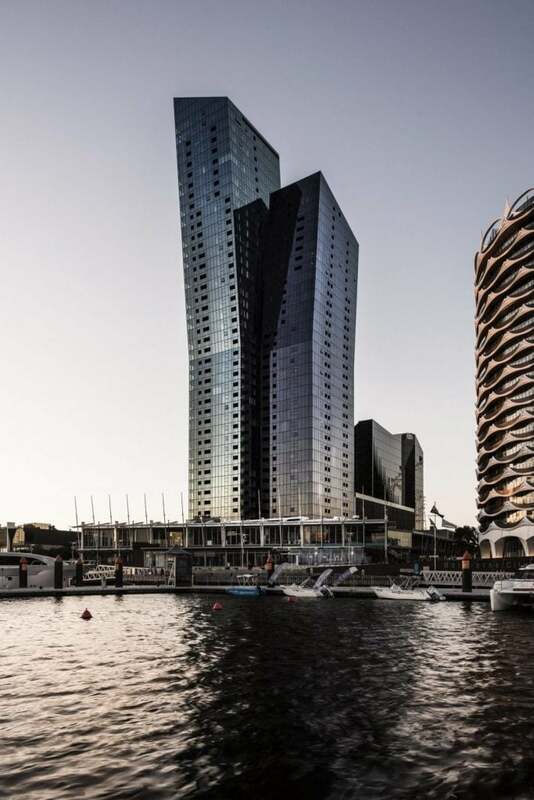 The building re-interprets existing elements of the Queens Road skyline, while showcasing the design and construction techniques of our time. This apartment development is located on Melbourne’s bustling Queens Road, lined by buildings from various eras and different styles, including some proud contributions by the Melbourne modernist Frederick Romberg. Queens Domain acknowledges this important architectural precinct, immediately adjacent to the historic St Kilda Road. The building re-interprets existing elements, while showcasing the design and construction techniques of our time. The generous setback from Queens Road allows for the creation of a front yard for residents to enjoy. 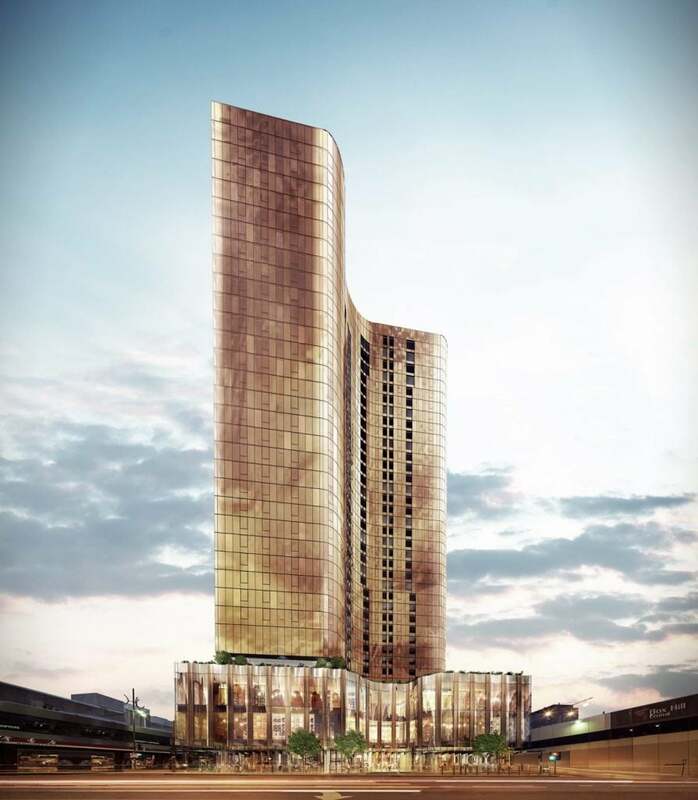 The apartments feature deep balconies, while the curved form of the tower provides shading, particularly on the west. With a generously appointed shared roof deck, residents experience the comfort and privilege of a private resort, 20 storeys in the sky, with breathtaking panoramic views of the city. 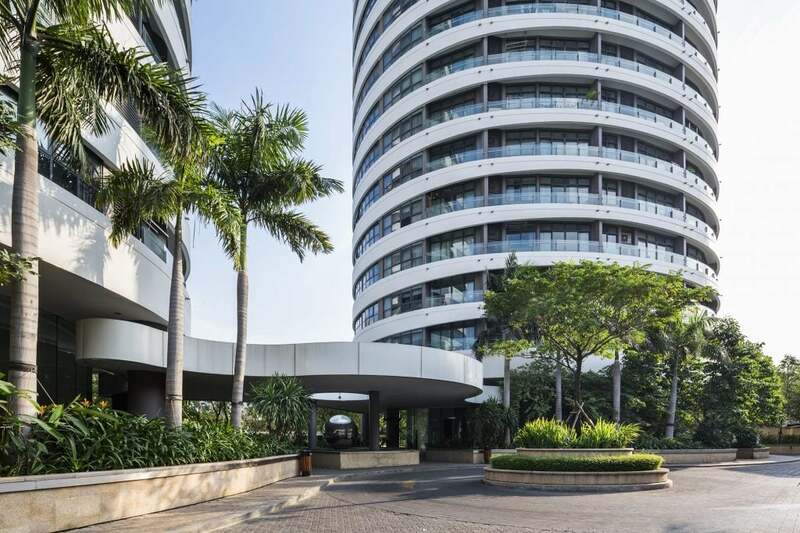 Queens Domain respects the established setbacks and contours of the skyline, with the building’s outline softened by using exciting, next-generation materials with a range of textures and degrees of transparency, as well as curved balconies and façade elements. Balancing sculptural and structural imperatives, Queens Domain boast a contemporary design, while remaining respectful of its historic surroundings.